I bought it at an estate sale for $5! I didn't think I could go wrong. Shouldn't be hard to find parts for it? Right? I can't even find the model. Help! 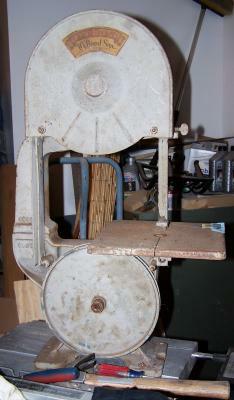 I also have the same saw,can't find model # either. I need to find guides for mine. or marty at 218-365-4070. Much appreciated.